A spate of pipe bombs mailed to prominent Democrats around the country has raised fresh questions about the ability of the U.S. Postal Service and private delivery companies to intercept explosives and other dangerous items. Biohazard detection, X-rays and other technologies have had some notable successes in recent years, but officials warn that the sheer volume of mail makes it impossible to catch everything. "The public should not have the impression that all of our mail is screened like going through security at the airport," said David Chipman, a retired agent with the Bureau of Alcohol, Tobacco, Firearms and Explosives. "That's not the case, and we know that from a string of cases." Another crude bomb addressed to former CIA Director John Brennan at CNN went through the U.S. mail before a courier took it to the Time Warner Building, where the cable network has its New York offices, according to a law enforcement official who was not authorized to discuss the investigation and spoke to The Associated Press on condition of anonymity. 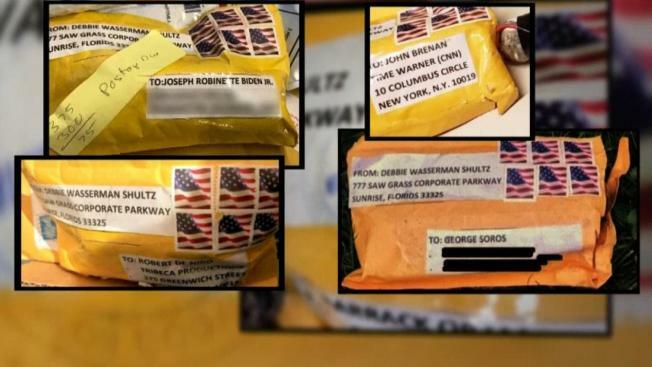 "Most if not all of these packages were sent through the U.S. mail," the official said. Those deliveries occurred even though the packages had certain suspicious features, including excessive postage, homemade labels and high-profile addressees, security experts said. The parcels also contained a number of misspellings. 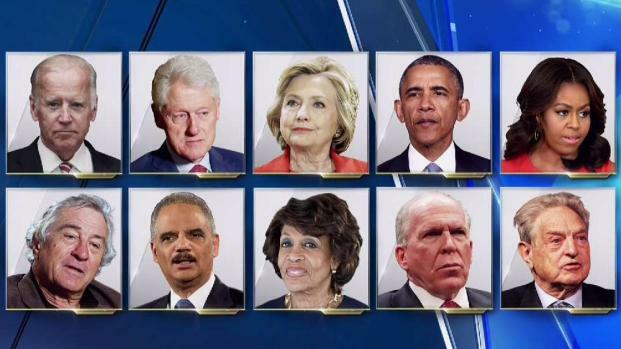 "These devices are the poster children of what a suspicious package looks like," said Fred Burton, a former counterterrorism agent with the State Department who serves as chief security officer for Stratfor, a global private intelligence company. Employees are also trained to check if the package is bulky or rigid. Are there oil stains or have a strange odor? Is it sealed with excessive tape? Is there a return address, and if so, is it addressed to a title or an individual? If the answer to any of those questions is yes, it could signal a threat. While it's not clear how much the packages weigh, mail that weighs more than 13 ounces is not supposed to be delivered using just stamps and anonymous drop-off; the package must be taken to a retail service counter where the sender would interact with a USPS employee. Packages that weigh more than 13 ounces found in USPS drop-off boxes "will be returned to sender," the agency states on its website. Investigators were still trying to piece together how they reached their respective destinations. The FBI said Thursday it appeared the pipe bombs first passed through a regional post office in south Florida, meaning some if not all of the bombs were mailed from that area. None of the devices so far in this week's scare have detonated. A Florida man was arrested Friday in connection with nationwide mail bombs. In the meantime, Phillip Bartlett of the U.S. Postal Inspection Service's New York division said hundreds of thousands of postal employees were searching the system for any additional bombs. 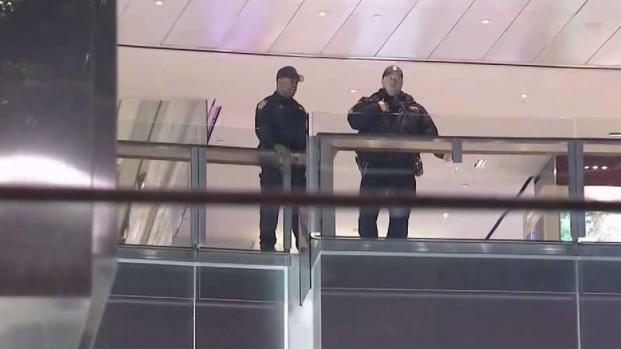 On Friday, the 11th and 12th suspected mail explosives were intercepted at postal facilities in Manhattan and in Florida. One addressed to former Director of National Intelligence James Clapper and one to New Jersey Sen. Cory Booker, law enforcement sources and officials familiar with the investigation tell News 4 and NBC News. A 13th package, addressed to Sen. Kamala Harris, was intercepted at a facility in California, two law enforcement officials said. That package appears similar to the others but its contents have not been described. The Postal Inspection Service, which investigates mail-related crimes, said in an email that in screening the mail, the agency relies on a "targeted strategy of specialized technology, screening protocols and employee training," as well as "state-of-the-art equipment to include portable X-ray machines." The agency pointed to its Dangerous Mail Investigations division, a program created following the 2001 anthrax-by-mail attacks that killed five people, including two postal workers, and infected several others. The program was part of a costly security overhaul in which the Postal Service added a Biohazard Detection System at its mail-processing centers. The Inspection Service says on its website that it has investigated "an average of 16 mail bombs over the last few years" while processing more than 170 billion pieces of mail. "That means during the last few years, the chances that a piece of mail actually contains a bomb average far less than one in 10 billion!" The Postal Service does not have the resources to X-ray every parcel and typically reserves that technology for packages postal inspectors deem suspicious. While the Postal Service intercepted some of the packages in this week's scare, the developments underscored the limitations of the screening technology in use, said Phil Nater, a former longtime postal inspector in New York. "There's a lot of human activity involved before mail actually goes through a screening device or system," Nater said. "It's gotten a lot better, but it's not impossible to bypass." Meanwhile, the union that represents U.S. postal workers, said Thursday its members are "rightfully deeply concerned for their own well being" as well as that of the public. The American Postal Workers Union issued a statement to members urging them to be alert and vigilant and said the group is working to schedule nationwide safety training refreshers on detecting suspicious packages and what protocols to follow. The high cost of screening every parcel also limits the security measures taken by private couriers. A UPS spokesman said the company "has security measures in place, but we do not disclose those methods to maintain their effectiveness." A FedEx spokesman declined to comment. The Postal Service has successfully intercepted a number of suspicious letters and packages in recent years. Earlier this month, a Navy veteran in Utah was arrested in connection with several envelopes sent to President Donald Trump and top military chiefs. Authorities said at least two of the envelopes contained castor seeds, the substance from which the poison ricin is derived. In 2013, a postal inspector in Arizona flagged a suspicious package addressed to then-Sheriff Joe Arpaio in Phoenix. Authorities said a possible smokeless powder was leaking from the parcel. 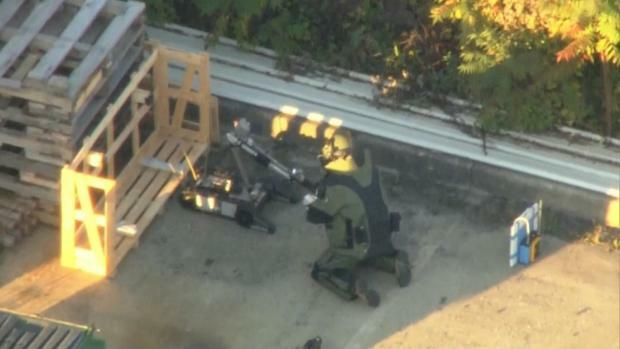 A bomb squad later X-rayed the package and discovered gunpowder and other components of an explosive device. The sender was later convicted. But John Rooney, a retired postal inspector in Philadelphia, said the system's limitations are highlighted by the massive amount of narcotics that goes through the mail every year. "People don't understand the sheer magnitude of mail the Postal Service handles," he said. "When it comes to drugs, it's impossible. You can't stop it." --NBC's Danielle Abreu contributed to this story.